Reds10 are currently working on the construction of a new MRI facility at Conquest Hospital in Leonards-on-Sea. The new building will house two MRI machines, with both machines being jointly funded by the Friends of Conquest Hospital and the Bexhill League of Friends. The site of the new facility includes a lagoon, which has unfortunately been left unkempt for some time. Reed overgrowth has been causing issues not only to staff, who regularly use the areas around the lagoon, but also to local wildlife. Working closely with the Friends of the Trust, Reds10 have been active in finding a way to give back to the hospital and the surrounding community, in addition to the construction itself. The lagoon presented the perfect opportunity. 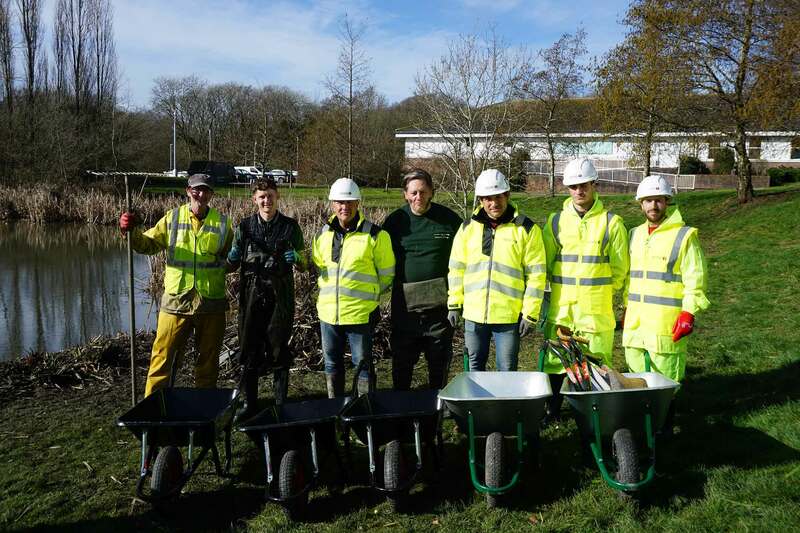 Helping to improve the local environment, Reds10 donated six brand new wheelbarrows and the onsite team have been hands on in the lagoon clean-up process. 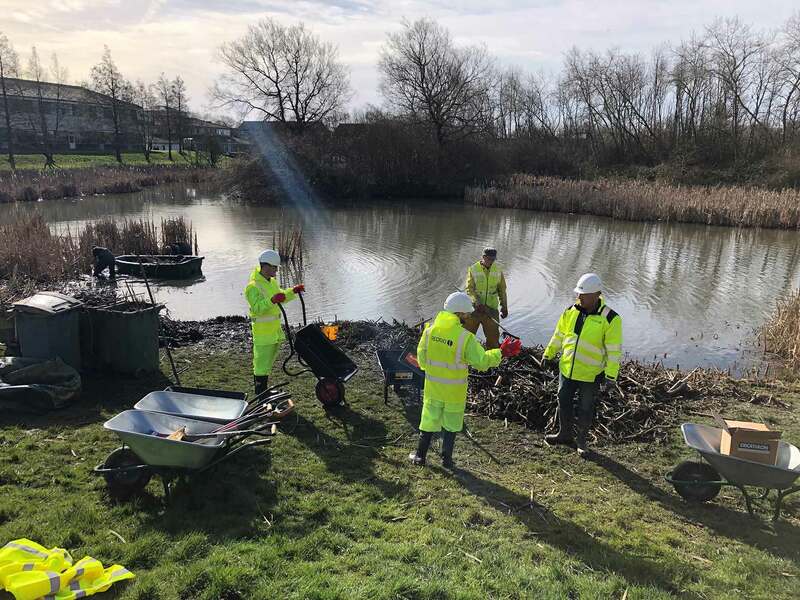 The entire team are proud to have been able to be involved in the effort to improve the local environment, help change the image of construction and (perhaps most importantly) work together with the wider community to shape the project for the future.